An exclusive interview with New York fashion designer Nelson Lin and co-founder of LinÓza. Nelson graduated from the New School Parsons for Fashion Design and received a Bachelors of Science in Management Science from the University of California, San Diego. He has worked with Diane von Furstenberg and Derek Lam. 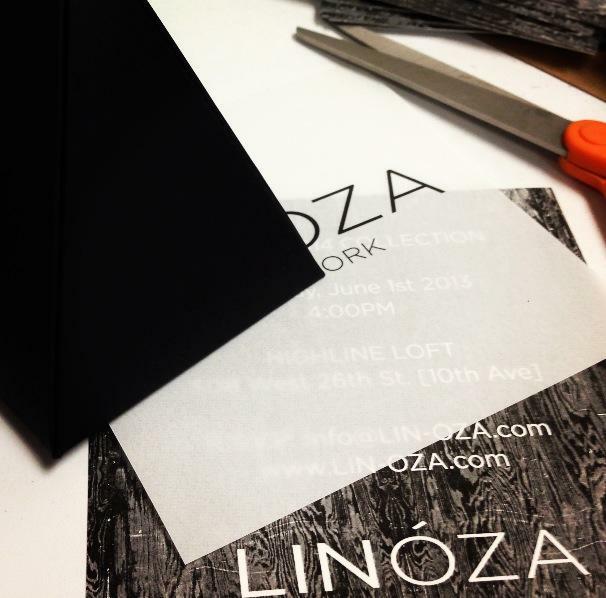 LinÓza stands as an emergent brand unifying the unique talents of Nelson Lin and Carmen Ortiz of Parsons Fashion. In bringing together their visions of grace and luxury with clean lines and decadent textures, they take established tradition as a stepping-off point to explore innovative and alternative paths toward the next era of high fashion. 1. When did you realize your passion for fashion? Lin: Back in high school, I came to realize really quickly how people automatically judge you and categorize you by the way you dress. I became fascinated with how important first impression is, and 80% of that is contributed by what you wear. I think that was what sparked my interest in fashion. The passion came later on when I started to take sewing classes at the local community college while I was still in high school. I loved how I can make ordinary fabrics into a beautiful jacket or pants. 2. How was LinÓza started? How did you meet your partner? Lin: LinÓza started soon after I met Carmen Ortiz at Parsons. I was really drawn to her laid-back personality because most design students are very egotistical. I was even more impressed by her aesthetic and how it was very similar to mine. Within the programs we were in at Parsons, we weren’t able to showcase a senior collection upon graduation. So I thought of doing my own show just for friends and family. I asked Carmen if she would like to join me since I’ll be renting a venue and hiring models. She was ecstatic! Soon enough, as we worked together towards putting our own graduation shows, we organically teamed up and collectively debut our designs together. And that’s how LinÓza came about. 3. What has been the biggest challenge since founding Linoza? Lin: The biggest challenge so far has been setting up and learning how to run the business. Although I have a business background from my undergrad degree, it’s a lot different in the real world. From production, to meetings with buyers, to marketing and design, it’s a lot to handle when you’re fresh out of design school, where they didn’t show you what the real world looks like. 4. How would you define your style? What’s your favorite item in your closet? Lin: I’d describe my style as minimal with an edge. Similar to the way I design, I love to mix hard edge with a soft touch. To have simple designs, yet with attention to details. To play with proportions to stimulate the eye. I always love outfits that are understated. An outfit to make you want to look twice, even if it’s just monochromatic. I think fashion isn’t about always following what’s on trend. It’s about what makes you feel confident and stand out as you, of course, in an understated way. I have many favorites, so this is definitely a tough question. I’d say my black lambskin leather jacket. Because it’s very versatile. You can pair it with jeans, shorts below, and with a button-up or v-neck underneath. It creates a tough, yet casual feel to any outfit. Lin: I’m inspired by many different things in life, whether it is an object or something totally conceptual. It could be a story, an art piece, gardens, or breathing. I think it’s important for designers to think vastly when it comes to inspirations, concepts, designs. And then really edit down to the best pieces. That’s how a designer can find his or her own vision and have his or her designs stand for itself. 6. What do you define as Fierce? Lin: Haha, fierce could be defined within many things. It could be a fierce bag, shoes, makeup, or even a super sleek fierce dog. But I think overall, in order for something to be fierce, it definitely has to be worn by someone who can really wear it well. 7. Who’s your role model? Lin: I’d say my mom. She is everything. From my morals, work ethic, to social skills, I learned it all from her. If there’s anyone I’d want to make proud of, it’d be her. 8. Can you talk about your recent fashion line? Lin: We debut LinÓza with a 20 look fashion show back in June. It was a great turn out with many friends, family, and even professors and other industry people attending. Currently we are pushing our handbag line because we have just been featured on InStyle magazine’s September issue. We will soon be working on producing our collection garments as well. 9. What’s next for Linoza?